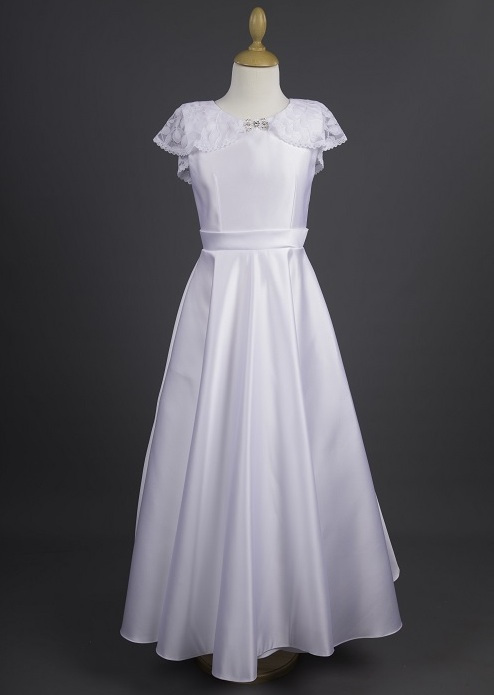 Girls white satin communion dress with lace cape, named Chloe by Millie Grace. The perfect dress for her holy communion. Chloe Dress: A pretty long white communion dress featuring a delicate lace cape across the shoulders, featuring a diamante bow embellishment in the centre. A satin sash is to the waistline and an A-line satin skirt with pockets finish this elegant dress.